Aimé, the narrator of Émilie de Turckheim’s short, dark, mean novel, cannot tell a story. Or that’s what he tells us. He’s not cultured, hasn’t had an education and, frankly, he seems a bit simple. A simpleton even. But it’s his story and his voice, which make this novel such a fun read, infused with black humour and full of absurd, comic situations. Just like child narrators and teenagers à la Holden Caufield, Aimé sees through the hypocrisy around him. He’s very literal and the way he unveils how people lie with clichés and empty rhetoric, makes you laugh and gasp in horror at the same time. You could call Le Joli Mois de Mai a very dark crime story. Monsieur Louis is found dead in the woods, a bullet in his throat. How did he die? And will he be the only victim? These are the questions we ask right away. And Aimé is willing to answer, only in his own time, and before we know the truth, we will hear a dark story of a teenage mother, abuse, violence, alcoholism and exploitation. Monsieur Louis is dead and he has left a will. Five people will inherit everything. It should be surprising for the five heirs that Aimé and the horribly disfigured Martial, who have been living with Monsieur Louis, don’t get anything else than the right to stay at Monsieur Louis’s house. 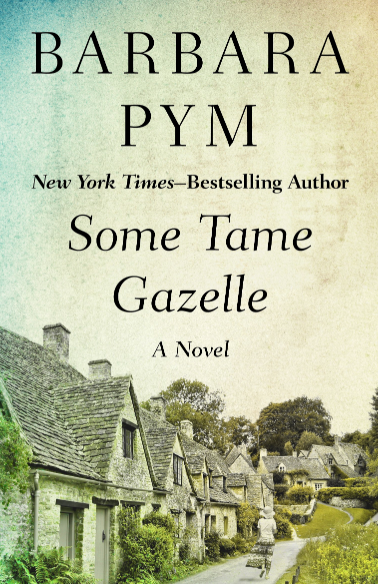 The five people who inherit the pension, the hunting grounds and the wood are a shady couple, an ex-policeman, an ex-soldier and a gay brothel owner. Greed clouds their judgment and influences their behaviour; they never wonder why would Monsieur Louis leaves everything to people he hardly knew. I enjoyed finding out. I loved the way Aimé tells his story with so much naiveté and uncanny truthfulness. I laughed out loud quite few times, it’s so funny. It’s a shocking story, told in some of the blackest humour I’ve ever read. The bad news – the book hasn’t been translated into English. 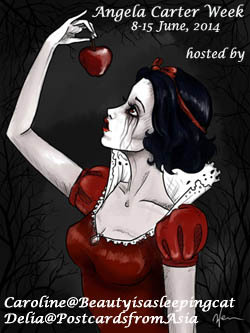 I first read about the author on Emma’s blog (Book Around the Corner). She’s reviewed one of her other books, Héloise est chauve (here). It sounds excellent as well. 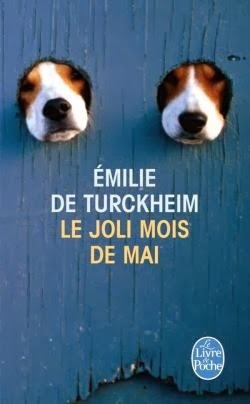 I hope Émilie de Turkheim will be translated. She’s a terrific writer. The voice was amazing, the way the story was told was shocking, funny and captivating. Her style is unique and from what I can see, all of her books are very different. Thanks for the link. I’m glad you enjoyed her book. She has a literary voice and a way to create unusual characters. I really like Héloïse est chauve. You’re welcome. I know ou liked her. If it hadn’t been for your review, i might not have picked this up. Currently reading one that I think you’d love–it’s all in the voice. You’d like this. Sorry about the bad news. She should be translated. I’m always curious to hear what books others are reading in other countries–and what I am missing out on! 🙂 I like the sound of this–maybe it will be translated at some point. The cover is great by the way! It’s such a funny cover. The novel has some similarities with Andrea Maria Schenkel’s first book but is much more literary. I hope she’ll find a translator. These darkly cynical humorous stories can tell us much about the world and be fun to read at the same time. The Holden Caufield comparison is a good one and helps to paint a picture. Nice that this story takes aim at cliches and hypocrisy. There are so many people running around spouting so much of this nonsense. I couldn’t agree more and that’s why I liked it. He really made me think of an older Holden Caufield. Oh, my French is rusty, but I may have to brush the cobwebs off the dictionary and tackle this one, Caroline. Sounds too good to pass up. It might not be that easy because she played with words a lot. And it’s faulty French. On purpose, of course. I thought it was brilliant and hilarious. Being untranslated, this book will have to wait. Sounds interesting. I think she’s a writer you’d appreciate. As bad news goes, that was quite bad. Shame as it sounds excellent. I vaguely remember that she left a comment on Emma’s post at the time saying a UK publisher was interested. This one was translated into German, so there is hope. Beautiful review, Caroline! Emilie de Turckheim’s book looks very interesting. I loved your description of the central mystery – that a dead man leaves all his things to not-so-well-known people in his will and why he does that is the mystery. I hope this book gets translated into English. I would love to read it and discover the truth behind the mystery. (I read Emilie de Turckheim’s comment in Emma’s post that ‘Heloïse est chauve’ was getting translated into English after Emma posted her review. I hope the English publisher sees your review and decides to translate ‘Le Joli Mois de Mai’ :)). Thanks for telling me about this new, fascinating writer. Thanks, Vishy. Yes, I saw that comment as well but I’ve checked and it doesn’t seem as if anything was happening on that front. Maybe her diversity is a problem. This could be marketed like literary crime but the other books are very different. Publishers and and their marketing department like labels. Hard to put one on her. It was a great mystery. Sorry to know that, Caroline. I was hoping that ‘Heloïse est chauve’ had already come out in English translation. I hope it and ‘Le Joli Mois de Mai’ come out in English soon. I hope so for her, but until now, nothing is happening. No, I bought a paperback in a bookshop. But I’m pretty sure amazon.fr will let you buy it, if it’s not available as an e-book on amazon.com. Makes me think of Momo in La Vie Devant Soi by Gary. A child’s voice, when done cunningly well, is a real narrative treat. Yes, that naiveté that reveals profound truths and cuts through hypocrisy. Good news : I emailed Emilie de Turckheim to enquire after the translation of Héloïse est chauve. It will be published by Jonathan Cape and should be released next year! That is good news. It’s amazing how long this took.